Bild: Mazurke. Fler teckning på Mazurkes hemsida. Citat: Tala är silver. Tiga är guld! Affärsmannen Sir Daniel Gooch (1816-1889) talade aldrig i House of Parlament under de tjugo år han var parlamentsledamot för Conservative Party. Men han var lika glad för det. I have taken no part in any of the debates, and have been a silent member. It would be a great advantage to business if there were a greater number who followed my example. 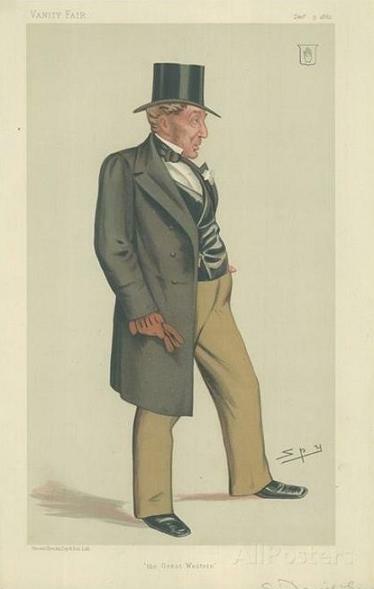 Bild: Teckning av Sir Leslie Ward alias Spy (1851-1922) i Vanity Fair. Kampanj: Nigeria går till val! VAL | New African hann inte mer än komma ut med sitt stora valnummer innan man sköt upp valet i Nigeria. Idag är det dags igen. Valet skulle ha hållits i februari men sköts upp för att ge militären möjlighet att återerövra områden som kontrolleras av den islamistiska terrororganisationen Boko Haram. Nu har man förlängt valet till på söndag i vissa delar p.g.a. av våldet, men också p.g.a. tekniska problem i vissa valbås. 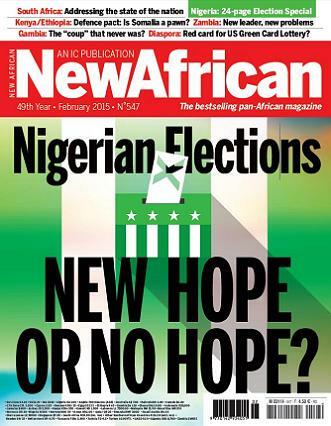 ”[A]bout 300 polling units out of about 150,000”, enligt en talesperson från valkommissionen Inec. Valet förväntas bli det jämnaste sedan landet blev självständigt 1963. Men även om det förväntas bli jämt har president Goodluck Jonathans oförmåga att hantera landets största säkerhetshot allvarligt skadat hans möjligheter att bli återvald. Oavsett valresultatet kommer Jonathans misslyckande försök att besegra Boko Haram definiera hans tid som president enligt Bala Mohammed Liman i New African. Boko Haram’s reign of terror has highlighted the weaknesses in the Nigerian state but also affected perceptions of the president. Goodluck Jonathan, Nigeria’s president since the death of his predecessor Umaru Musa Yar’Adua in 2010, found himself tasked with the job of managing this insurgency early in his presidency. He is not considered to have risen to the challenge, and is often depicted as an indecisive leader, incapable of governing such a pluralistic nation. Far from being brought to heel, under Jonathan’s watch Boko Haram has grown and morphed into something significantly more threatening, dangerous and destabilizing. Jonathan’s communications strategy on Boko Haram has likewise been unsuccessful. He did not comment on the April 2014 abductions of over 200 girls from a school in Chibok for over two weeks after the event. Officials have made claims about the immediate return of some or all of the girls that have severely damaged his administration’s credibility. The girls have still not been rescued. He did visit Maiduguri, the capital of Borno State, on 15 January to commiserate with some of the displaced persons from the recent Baga attack and also to show support for the armed forces. This is a good gesture. However, many of his critics see this as too little, too late – just an attempt to win votes. Evidence for this more cynical view may be found in the speed with which Jonathan condemned the attacks on Charlie Hebdo in Paris, calling them “dastardly”, while failing to comment on the ongoing massacre in Baga. At times, Jonathan has appeared unwilling to take Boko Haram as seriously as he should. Various blame games have further dented his image. His administration has previously suggested that Cameroon was not doing enough to counter Boko Haram’s cross-border threat. His wife, Patience, alleged that the abduction of the Chibok girls was carried out to embarrass her husband. Interestingly, this narrative has been picked up on by his supporters, who believe that the president’s failure to effectively tackle Boko Haram has to do with enemies within the government who continue to sabotage his efforts, rather than his or the military’s incapacity. The president’s 2012 declaration that the group had sympathisers within the government, while not providing names or evidence to support this claim, suggests that this is either another excuse or an example of weakness, with Jonathan failing to expose these individuals. Huvudmotståndaren Muhammadu Buhari har byggt mycket av sin image på att han är mannen som kan ta itu med landets omfattande korruption. Men budskapet har modifierats under valrörelsen. In Abuja these days, politicians on all sides preface their remarks with a reference to a ‘dangerous time’ for the country. A banker and strong supporter of President Goodluck Jonathan laments that neither the ruling People’s Democratic Party nor the opposition All Progressives Congress have shown a will to accept defeat at all, let alone gracefully. ”We don’t have a good record of managing close election results,” he says. Nigeria’s most threatening crises have been resolved by the political, military and business elites stitching together backroom deals. There seems little scope for compromise between backers of Jonathan – the first president from the Niger Delta, who started out with a serious agenda to reform power and agriculture – and his challenger Muhammadu Buhari, a tough former military leader whose anti-corruption record has made him wildly popular in the north and parts of the south-west. Yet following claims last year by Lamido Sanusi, the former central bank governor, that the state oil company had failed to transfer more than $20bn to the government’s accounts, it is the determination of Buhari – himself a former oil minister – to promote accountability that boosts his poll ratings. Now, his message to worried politicians and businesspeople is that he will focus on the future and not spend government time on probes into Nigeria’s multitudinous historic scandals. 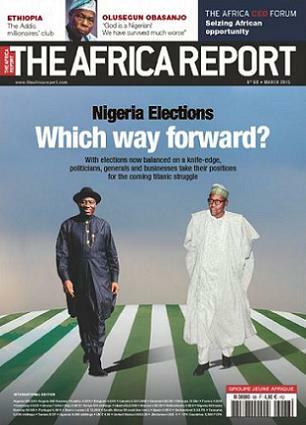 Tidskriftsomslag: New African, februari 2015 och The Africa Report, mars 2015. 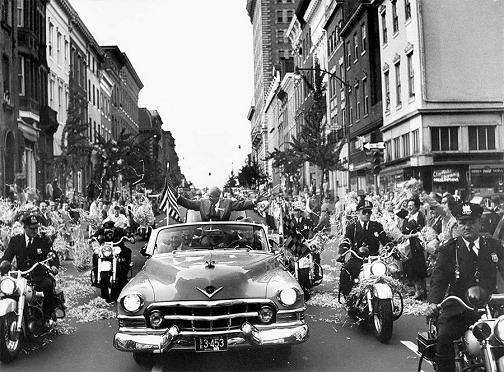 Foto: Dwight D. Eisenhower på valkampanj 1952. Populär Historia nr 1 2014. Politik: Stora men tråkiga partier! PARTIER | The Economist har tagit pulsen på det brittiska politiska systemet i ”Britain’s electorial system: The Breaking point”. Ingen uppmuntrande läsning. Även om det brittiska valsystemet inte liknar det svenska så finns det vissa likheter när det gäller de två största partierna. Along with Sherlock Holmes and the rules of football, one of the great legacies of Victorian Britain is the Westminster parliamentary system. If voters want their voices to count, they have to choose between two large, boring parties. 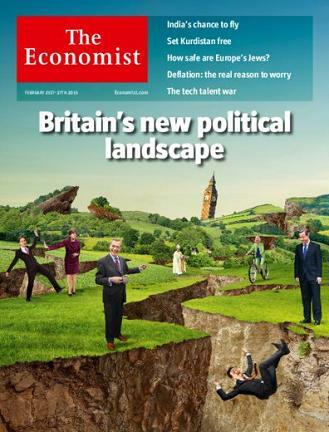 Tidskriftsomslag: The Economist den 21-27 februari 2015. Politisk kommunikation: Bibi som ”Bibi-sitter”! En av de mer uppmärksammade reklamfilmerna under det israeliska valet var Likuds ”Bibi-sitter” med premiärminister Benjamin Netanyahu i huvudrollen. Humor har blivit en viktig ingrediens på sociala medier om man vill få fram sitt politiska budskap. Humorn får väljarna att stanna upp, istället för att zappa vidare. “People won’t allow parties to ram messages down their throats anymore,” [kampanjstrategen Aron] Shaviv says. “To deliver messages effectively now you have to be entertaining. The ‘Bibi-sitter’ ad for instance was not only entertaining, it also delivered a key message: Who do you trust to maintain the security of your children?” Shaviv and Harow give all the credit for the win to Netanyahu. “He was on message, razor sharp, and did every media interview we could come up with,” Shaviv says. “He carried the campaign and swung it to victory.”. Strategi: ”Omvänd paketering” gav Likud segern! VAL | Valet i Israel, Mellanösterns enda demokrati, blev en riktig rysare mellan Benjamin Netanyahu och utmanaren Isaac Herzog. Trots dåliga siffror lyckades premiärminister Benjamin Netanyahu vända en väntad valförlust till en vinst. När Kulanu, ett av valets vågmästarpartier, nu rekommenderar att Netanyahu får möjlighet att bilda en ny koalitionsregering ser det ut som om Likud blir valets stora vinnare. Ari Harow och Aron Shaviv, två av Likuds kampanjstrateger, har berättat hur man lyckades vända valet för det stora regeringspartiet. Lösningen kallar de för ”omvänd paketering”. Gil Hoffman har intervjuat de två strategerna för Jerusalem Post. 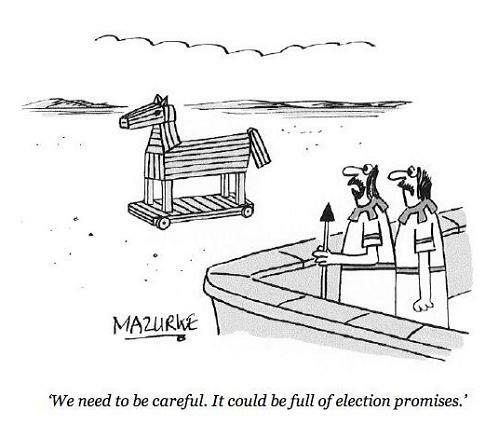 The strategy was to persuade voters on the Right that rather than vote for other right-wing parties and get Netanyahu, they had to vote for Netanyahu and get the other parties in the coalition. But Shaviv had to wait for the right time to raise the stakes significantly and have Netanyahu drive that message home. 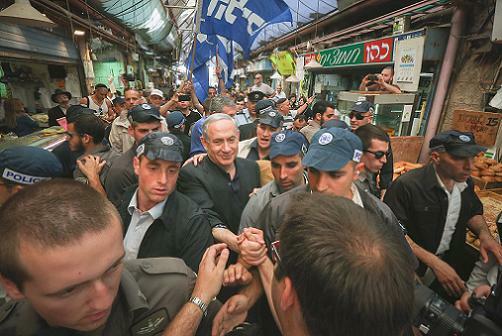 The more Netanyahu fell in the polls, the more voters on the Right would feel compelled to vote for him. A poll taken Sunday night found for the first time that fewer than half the public thought Netanyahu would form the next government. Only after that did tens of thousands of Israelis change their minds and get persuaded by Netanyahu’s countless interviews that their security required them to vote Likud. In the last 96 hours of the campaign, the strategists targeted the 7 to 8 percent of the electorate that was right-wing and undecided. Most of them were choosing between the Likud and Bayit Yehudi or between the Likud and Kulanu. To that end, Netanyahu announced in radio interviews Sunday morning that if reelected, he would appoint Kahlon as his finance minister. That stopped the tide of Likud voters considering voting for Kulanu. Voters who put socioeconomic issues first on their agenda, now had those issues taken care of and could feel comfortable using their vote to guarantee Israel’s security. Bild: Foto av Flash 90. Israels premiärminister Benjamin Netanyahu kampanjar i Jerusalem under valet 2015.